President Donald Trump on March 17 questioned if “Saturday Night Live” (“SNL”) and other similar late-night comedy shows were potentially colluding with the Democrats over their constantly biased treatment of him. In a pair of Twitter posts, Trump inquired whether the Federal Election Commission (FEC) or Federal Communications Commission (FCC) should investigate. The president’s criticisms came after SNL aired a rerun of a skit that portrayed life in America if Trump was never elected. “Like an advertisement without consequences,” he added. The Clinton campaign, along with the Democratic National Committee, funded the production of the so-called Steele dossier, which is at the heart of the allegations that Trump colluded with Russia. The dossier, which remains unproven, relied on Kremlin-linked sources for the allegations. The dossier was then spread among the media and FBI in an effort to force an investigation of Trump. SNL has repeatedly aired sketches that make fun at the expense of Trump and his administration. The president is usually portrayed on SNL by actor Alec Baldwin, who is a frequent critic of Trump. In February, Baldwin responded to Trump’s criticisms of the show. “I wonder if a sitting President exhorting his followers that my role in a TV comedy qualifies me as an enemy of the people constitutes a threat to my safety and that of my family?” Baldwin wrote on Twitter. Last week, Trump criticized three late-night hosts in a reference from Fox News, though it wasn’t clear which hosts he was referring to. He also praised former host Johnny Carson for not bringing politics into his show. “The three very weak and untalented late night “hosts” are “fighting over table scraps. Carson did a great job, it wasn’t political. I don’t know what they’re going to do in 2024 when he’s no longer President? Will be wacky in the unemployment line,” he said. “Should be tested in courts, can’t be legal? Only defame & belittle! Collusion?” he wrote. A recent study found that coverage of Trump’s presidency on the three major TV networks—ABC, CBS, and NBC—was overwhelmingly negative in 2018, just as it was the previous year, according to the Media Research Center. 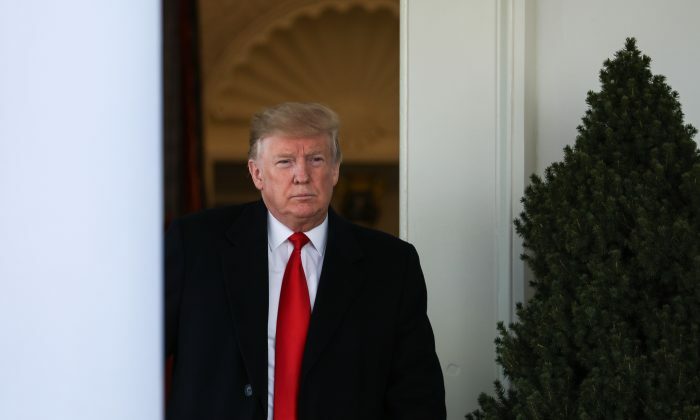 Excluding neutral statements on the Trump administration, the tone was 90 percent negative versus 10 percent positive for the year, the report published Jan. 15 found. Similarly a 2017 report by Pew Research Center found reporting on Trump has been the most negative compared to other presidents over the past 25 years.